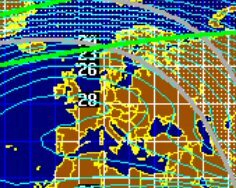 PE4BAS Amateur Radio Weblog: #FT8 #10m and greyline enchanced sporadic E? Sunspot number increased today to 16! I expected some propagation but am always surprised by the signals. First station worked at my morning coffee break was RA1WY with excellent signals at the side of my HF5B beam. Is there something known like greyline enchanced sporadic E? I don't know, but probabely there is. It was definitely a large ES opening towards Finland today. 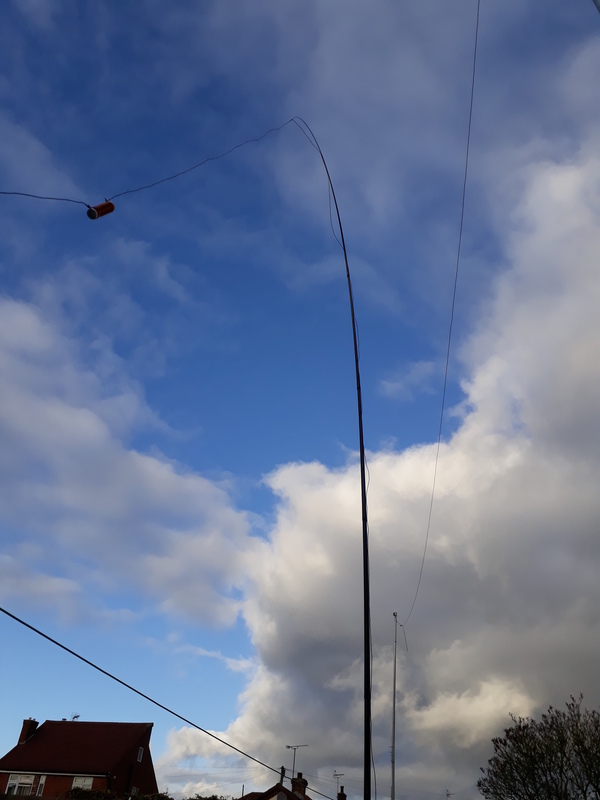 And since most of the stations are in the greyline there I thought there has to be greyline enchanced sporadic E. My antenna is still pointing south, yet the OH stations are as strong as +18dB on FT8!! After my lunchbreak I decided to leave it on 10m FT8 (what else could I do). I'm not able to remote control the direction of my beam. So it is left at the direction south. Later that afternoon I got a message from another neighbour station PA4O Peter. He reported ZD7GWM (St.Helena island) with loud signals on 10. A few minutes later I received this screenshot. Certainly nice DX on 10! On PSK reporter I saw him as well with +3dB report from my station. Unfortunately, since I was on my job, I had no time left to work him. late afternoon after the greyline. Monitoring FT8 today proves that it could be better for probing propagation. 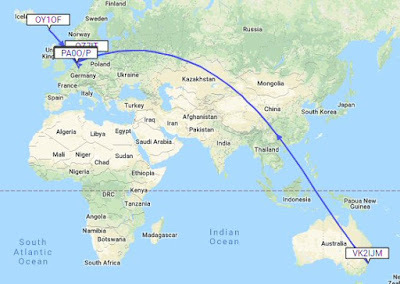 However PA0O who was still on WSPR 10m today spotted some interesting paths I didn't see with FT8. 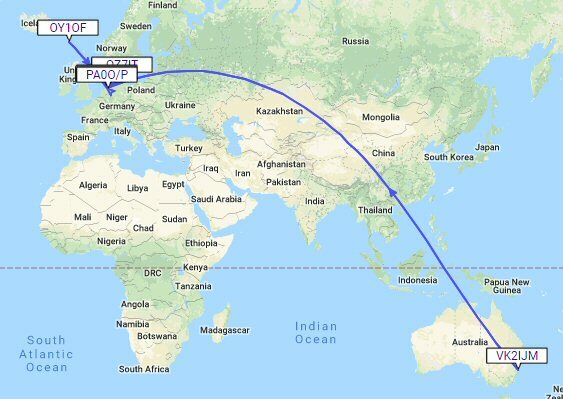 A combination between FT8/WSPR would be ideal! If propagation will hold like this till the weekend or even improves, well in that case we don't have to worry about making some DX contacts. It could be my reception but zooming in at my country I see a lot of stations active on 10m today, it surprised me actually! Like always I seem to receive far more compared to others in my country. I can imagine that if you're living in a city or a large village. 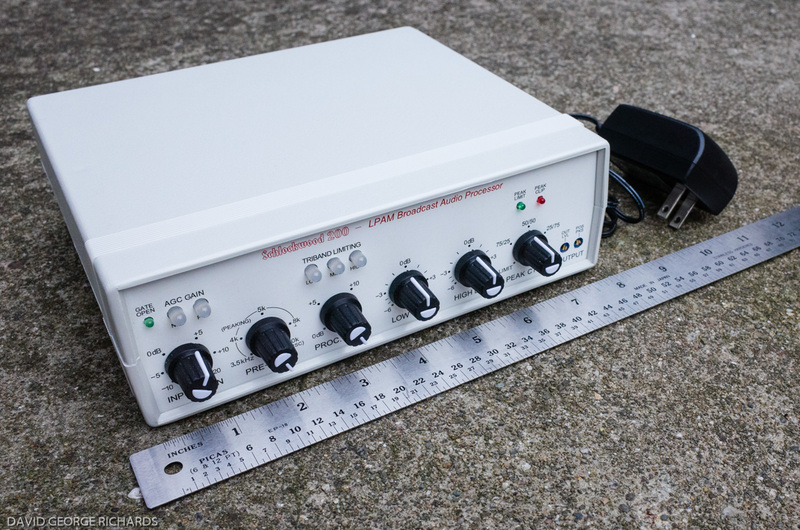 Many radioamateurs have a lot of QRM from all kind of appliances these days. The 6th of Dec was a pretty good day for FT8 on 28 MHz, much better than the last week. 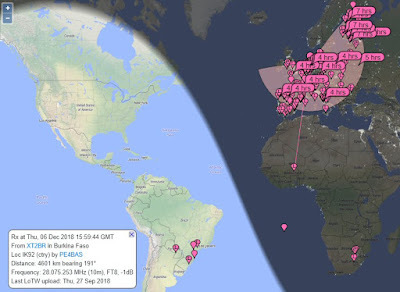 This is what I heard...https://ei7gl.blogspot.com/2018/12/ft8-signals-heard-on-28-mhz-thurs-6th.html. From PA, I heard PA4O, PD1DL, PA3DAT, PA7ZZ, PD4KK, PD0H. Very interesting to see VK2 spotted on WSPR in PA! 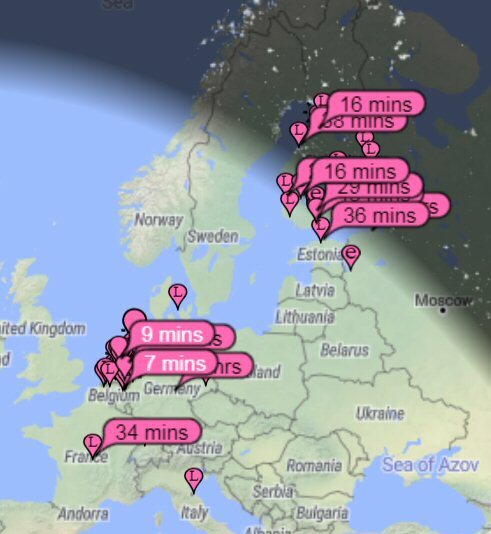 WSPR is definitely more sensitive but there are not enough people QRV on 10m.